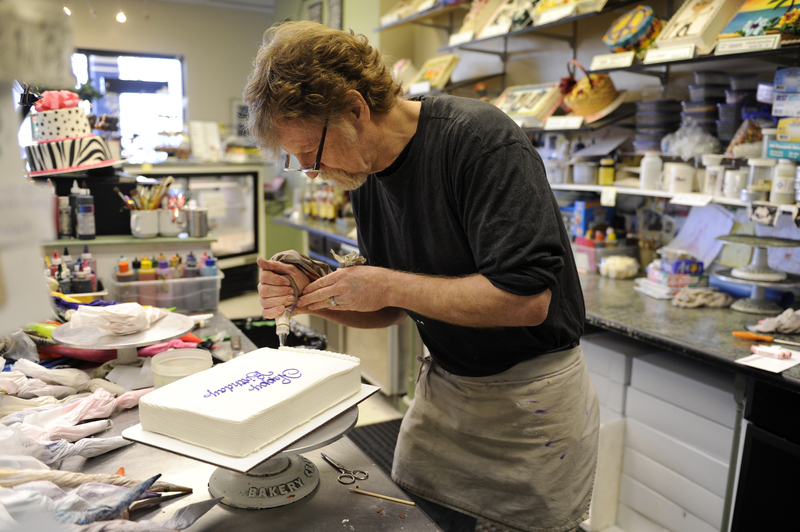 Jack Phillips in his bakery. (Lindsay Pierce, Denver Post). To combat discrimination, Congress has passed several laws- most notably the 1964 Civil Rights Act- that prohibit private entities from refusing to conduct business based on identity. Supporters for Craig and David Mullins at the Supreme Court. (wbur.org). Apart from his legal defense- centered on the 1st Amendment’s guarantee of free speech and religious expression- Phillips contends that he holds no animosity toward the Mullinses. Despite Phillips’ assertion that his actions carried no animus, the couple had every reason to be upset. After walking into the bakery, excited to choose their wedding cake, they left feeling “mortified and humiliated” when Phillips declared he would not serve them. From the couple’s perspective, their sexual identity was Phillips’ sole rationale for denying them service. They could have, of course, found a more amenable baker. But the sting of rejection, coupled with the protection of the anti-discrimination law, compelled them to take legal action. Craig and David Mullins. (David Zalubowski/AP). Despite the parties’ competing viewpoints and legal arguments, Justice Anthony Kennedy found credibility on both sides as the Court heard the case. This proposal of ideological temperance and understanding creates an opportunity for more comprehensive discourse. 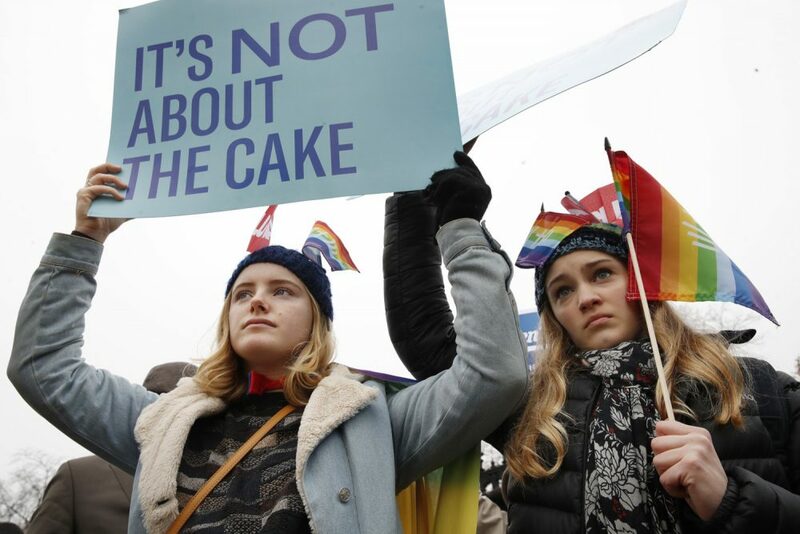 With the sudden shift in opinion on sexual-orientation, some social conservatives may require time to understand the utility of gay rights, while progressives must learn that honoring disparate opinions ultimately supports their goal of acceptance.